Bob Parsons Alberta wrote: Great notes from everyone. Wish I could join in but am off to Saskatchewan tomorrow to do my annual butterfly survey. Have fun! I hope that it goes well, Bob. The searing temperatures and drought here have taken a toll on lepidoptera populations: no moths at night, precious few butterflies by day. The usual population of black swallowtails (hence my icon) are nonexistent this year and no Monarchs have been spotted either. We're just hoping that we might get a return next year if the weather improves. Marlborough Sauvignon Blanc 2011 - Brancott Estate - Alc.12.5% - (€7,50). I often try the lucky dip at a local supermarket during a WF and I pulled out this one yesterday at a nearby Carrefour. It tasted almost exactly as I expected and very like most of the other Kiwi SBs which have come my way. Whilst I have never had one which has shined by its individuality and original character, they have nearly all been very enjoyable. NZ seems to have hit upon a very successful formula for making a deservedly popular wine type well suited to its cool climate. The aromas were well developed showing the usual notes of gooseberry and grapefruit with a hint of passion fruit. The palate was medium bodied and not quite dry with some refreshing and pretty fruit, underlying "gras" and tenderness, enough juicy acidity and a finish with just a suspicion of boiled sweet. With Kiwi SB, I rarely can shake off the impression that the aromas are bigger than life and owe more to alchemy with commercial yeasts than to the terroir, but the phenomenon was less marked here than with many. So an easy drink and typically enjoyable; 15/20++ and QPR. Goose Bay South Island Sauvignon Blanc 2010 - No subtlety here. The wine hits you with in-your-face intense citrus, that is backed up by grass. It is technically dry, but its fruitiness lends it a sweetish character, so much so, that by my second glass my palate was fatigued. Although it is charming and lively, I would not recommend this as a wine to accompany an entire meal. Drink a glass at the start of the meal and move on to something else. 13% AbV and $15 at my neighborhood wine shop, Schnapps Liquors. Nice body, silky, full flavored. Fruit is somewhat dark with some clove and plum along with a good bit of firm acid. Nice coffee on the finish. A bit sappy with a hint of VA. Perhaps an off bottle. We did not taste the Stonyridge Larose but the wines I did taste were the 2004 Row 10 Chardonnay, 2004 Luna Negra – Hill Side Malbec and the 2004 Pilgrim, a Syrah, Grenache, Mouvedre blend as well as second label, Fallen Angel, made from grapes sourced off Waiheke including the 2006 Marlborough Sauvignon Blanc, 2005 Central Otago Pinot Noir and the 2004 Gisbourne Semillon/Gewurztraminer dessert wine and none really floated my boat. The other Waiheke Island wines we tasted also didn’t impress all that much but the Te Whau Restaurant made it all worthwhile. 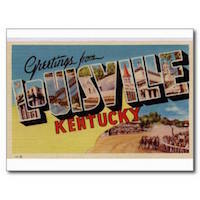 Hopefully there have been big improvements in the last few years on what was for us a tourist trap. Te Whare Ra: Riesling, Noble Riesling, Gewurztraminer. Te Mata: Elston Chardonnay Bullnose Syrah and Coleraine. Sileni: Semillon (The Circle), EV Chardonnay, Merlot (The Triangle) and EV Pourriture. Unison, Vidal and Stonecroft all make excellent Syrah. My most lasting impression about Hawkes Bay Syrah is the diversity of the wines. Admittedly I tasted across two vintages (2004 and 2005) but even so the differences are pronounced. The 2004 wines go from peppery (almost under-ripe) wines to over ripe wines, and even though the 2005s appear to have more depth, they ranged from a peppery style to something that approached Cabernet in its flavor profile. And all this from a handful of wineries in one region! I think I should point out to everyone that New Zealand has nothing to do with "Down Under". It's like calling Oklahoma the Lone Star State or calling New York City the Garden State. I personally call Australia "Up Over", but I seem to be the only one that finds it funny. Matt Richman wrote: I think I should point out to everyone that New Zealand has nothing to do with "Down Under". No it's not. New Zealand is literally down under for those of us in the Northern Hemisphere. And this slippage has indeed entered popular use. As an expat Aussie I also believed that downunder meant only Oz, but times have indeed changed. As a current resident of New Zealand I have never once in my near year living here heard NZ called "Down Under". A quick google search shows the only people calling NZ "Down Under" are tourism web sites aimed at Americans. A quick poll of locals elicits baffled (or angry) looks. NZ has a certain EXTREMELY strong rivalry with Australia and Kiwis are usually offended to be mistaken for Australians or grouped with them. So I recommend not pushing the mistaken idea that NZ is "down under", certainly not to a Kiwi. Would you call a Costa Rican "Mexican"? Would you say someone from Mexico was "South American"? Would you call someone from Canada "an American"? Would you call a Mets fan "Yankee"? I'm just trying to gently point it out so that nobody accidentally offends anybody. An interesting combination of deep bitter coffee and black fruit along with bright lemony high toned acid. Smooth and full flavored without tipping the sweetness meter. A little cloudy. Not profound or complex, but enjoyable. Although I found this wine enjoyable, I am discovering that perhaps the Marlborough style is not my favorite. Perhaps a bit...disjointed? I'll be trying more in the coming weeks, as I've just had a wine delivery. Tonight I'll be attending a tasting of Churton Wines from Marlborough. I'll report on that as well. I would think if Kiwis are angry at being called downunder (or down under as both are used) then they may not have a sense of place because the term identifies countries that are in the Southern Hemisphere or 'below' other countries on the globe. Merriam-Webster has the definition as "to or in Australia or New Zealand" and being first used in 1886. The Macmillan English Dictionary has the same definition. To say that New Zealand is downunder is certainly not a pejorative as you seem to indicate or at least as your Kiwi friends seem to react. The Urban Dictionary has a definition which appears restricted to Australia "Appropriate nickname because of its location (below Asia) and the extreme differences between Australia and other continents/countries." But this seems to be a definition proposed by one individual and I'm not sure of its formal acceptance. And he also states "This would also be a good nickname for Antarctica, which is literally under every continent." Being an Aussie I would much rather downunder refer to just Australia but definitions do change. PS Kiwi is not a pejorative either. PPS A little bit of down-under from the New Zealand Tourism Board. So is South Africa down under? Chile? Canadians live north of the USA, does that make New Yorkers southerners? I don't think "down under" is a pejorative (and I certainly mean no offense to any Aussies), but I do think the Kiwi national pride would find such a blurring of their identity to be incorrect if not offensive. Given New Zealanders strong desire to define themselves as not-Australian I would think they'd rather not be referred to as "down under", which has such a strong Australian connection. That's my experience anyway. "Kiwi" is certainly not a pejorative and is what New Zealanders seem to always call themselves with pride. I just think when you step into the pub in Auckland you might not want to be saying "it's great to be here down under". Kiwi's are probably too polite to say anything, but it won't be winning you any friends. OK, one last try. If you have any Rotarian friends ask them if they get Rotary Down under. Scroll down to the heading New Zealand. Plus "All Rotarians in Australian, New Zealand and Pacific Islands clubs who are subscribers to the magazine are the members of the organisation and, therefore, the owners of Rotary Down Under Incorporated." PS I thought Canadians live in North America as do Mexicans. Down Under is, in my view, exclusively a reference to Australia. Hearing New Zealand referred to as "Down Under" is foreign and strange. From where I stand the reference is a very strong one that either stems from or was vastly strengthened in popular culture when an Australian syndicate won the Americas Cup in 1983, the first time the US had lost the cup in 132 years. The Men At Work song Land Down Under was adopted as an unofficial Australian theme song of the cup, and has appeared again and again at sporting events since, along with the boxing kangaroo flag that first appeared at that same Americas Cup. Against that background, any reference to other countries as Down Under is strange - and I'm sure even the Kiwi's would agree to that. On NZ wines, I had a 2011 Felton Road Elms Chardonnay with lunch today. This is Felton Road's entry level Chardonnay, and a good way to get a line of sight on Felton Road's range which includes the Bannockburn and Block 2 Chardonnays. They are underrated, and the least successful whites in their lineup behind two stellar rieslings. The Elms is very lightly wooded, fresh and attractive for early drinking. Melons and peaches, with just a touch of cashew and nougat, this slips down a treat. Lovely wine, perfect with chicken, coleslaw and bread. Andrew Burge wrote: Down Under is, in my view, exclusively a reference to Australia. Hearing New Zealand referred to as "Down Under" is foreign and strange. From where I stand the reference is a very strong one that either stems from or was vastly strengthened in popular culture when an Australian syndicate won the Americas Cup in 1983, the first time the US had lost the cup in 132 years. The term Down Under is much older than that. I've heard it used in my native Britain as long as I can remember, often associated with that cricketing trophy the Ashes, the subject of deadly rivalry between England and Australia. I must confess that it is associated in my mind mainly with Australia but I can't see any logic in not extending it to New Zealand. I can't see any logic in not extending it to New Zealand. and I can't see any logic in not calling a Belgian a Frenchman. Except it's not up to me. And you probably wouldn't like it. I went to a tasting of Churton wines this evening. They are a small boutique family run winery in Marlborough. The unique thing about them is that they are planted in the hills of Marlborough not the valley where pretty much all of the grapes are grown. There was a bit of a difference reflected in the wine. We had 3 vintages of their Sauvignon Blanc, which is a grape I actually don't like much. The wine was good and I'd say well priced for the quality. I liked the oldest vintage, the 2008, the best. I think it showed a good capacity to age. There was an interesting Viognier, a grape not widely planted in NZ. It was the most acidic Viognier I think I've ever had (a grape I don't usually associate with acid). I wouldn't say it was particularly Viognier-like, but I did like it. We had 2 Pinot Noirs, their regular bottling (2010?) which had nice deep dark fruit and bright acidic tannins. It was a little atypical for Marlborough Pinot Noir and I'd say better than many I've tried. Pretty good. Then we had their "Abyss" Pinot Noir. This was a big, extracted, concentrated wine with silky smooth fruit. Clean and clear with a lot of luscious fruit. I think drinkers of big California Pinot Noir might really love this. Churton is unusual in that they export most of their wine. I had never heard of it, nor had most of my friends at the tasting. I was told it's available in NYC and Chicago retail stores. No, Matt, I don't get your point. Belgian is a nationality (of a sort); more than half of Belgians don't speak French as a native language and, indeed, have rejection of Frenchness as part of their "raison d'être". Down Under refers to a geographical position, opposite the UK in particular, and not to a nationality. I can't see the logic of not extending the term to the second (in size) English speaking nation down under. The Kiwi rejection of Australia is just as deep in the national psyche as Belgians rejection of France (which was the point I thought I was conveying). If you bristle at the error, imagine how Kiwis feel (the other point I was trying to make). "Down Under" is not a geographical position, since you would not use it to describe The Falkland Islands, the Cook Islands, Indonesia, Fiji, Madagascar or Antarctica. It's not "South East". Neither "down" nor "under" are geographical designations. It's a colloquial term. Two Australians and one New Zealand resident have all chimed in this discussion saying "down under" is a term referring to Australia alone. Why are Americans and Belgians disagreeing? I regret that the discussion has veered from New Zealand wine, which I believe would benefit from exposure to a larger international market and which I believe the international market would enjoy. I was merely trying to save error and embarrassment to anyone. I've raised the question here in New Zealand several times. I'm not getting debate or discussion in response. I'm getting blank stares and puzzlement that the question would even be asked. Every time. New Zealanders don't consider themselves "down under". You may do with that information whatever you wish. *Chardonnay was pretty solid, even if I felt the oak was often overdone (Carrick's being a standout for me, with an atypically long finish and obvious yet well integrated oak). With Pinot Noir being by far the most planted variety in the region, it was a focus. I have long found the Central Otago style of Pinot Noir too ripe (i.e., big, alcoholic, somewhat sweet fruited, and rather too smooth in its tannin profile), and am in no way convinced that it "must" be harvested above Brix 26 (which is the norm). Nevertheless, it was most interesting to see the differences in style across the sub-regions (for example, Bendigo's being riper, Gibbston's being more earthy) and the differences in winemaking approach across producers (e.g., inclusion of whole bunches or proprtion of new oak). I strongly suspect the style "requires" age (at least five years) for those (like me) who would like too see the "big-ness" tamed (I feel that Felton Road, Quartz Reef, Chard Farm and Gibbston Valley Winery are worth mentioning, at least in this regard), and that seems to be an opinion shared by the locals as well as many geeks outside NZ. BTW, whilst the term "Down Under" was historically used to refer to either Australia or New Zealand (and possibly other antipodean locations, as defined by the British) I find that the term is increasingly being used to refer exclusively to Australia (and that usage applies to Kiwis, Aussies and Brits). I can understand the shift, since it's quite possibly a consequence of the Kiwis' desire to be recognised as distinct from Australia (not just the dominance of Australian culture taking "ownership" of the term - which is possibly why most Aussies see the term as having always been exclusively Aussie-related). Many Kiwis may feel that New Zealand is being misplaced/misunderstood/slighted when it is referred to as "Down Under", as Matt indicates. Matt Richman wrote: Two Australians and one New Zealand resident have all chimed in this discussion saying "down under" is a term referring to Australia alone. Why are Americans and Belgians disagreeing? If this is wrong, and if attitudes are changing, fine. I'll learn. It took me a while to learn to say Mumbai for Bombay, Kolkata for Calcutta and Chennai for Madras, too. But if we look to the international interwebz for testimony, it's certainly not all that clear. The only .co.nz sites I can find mentioning "down under" are sites aimed at tourists out of country. I believe they're trying to sweep up some of the tourists going to Australia or googling "down under vacation". Matt Richman wrote: The only .co.nz sites I can find mentioning "down under" are sites aimed at tourists out of country. FOOD MATCH: Even with its alcohol and fruit-forward "New World" profile, it remains versatile with a range of food; we enjoyed it on successive evenings with LightLife Italian-style Smart Sausages with sauteed green and red bell peppers and onions, and an overflowing bowl of roasted veggies including eggplant, zucchini, potatoes, onions and garlic. WHEN TO DRINK: The sturdy metal screwcap should keep it well, as should its high alcohol. Whether this style is likely to evolve and gain interest over time is subject to question, but I certainly wouldn't be fearful about holding it for several years. VALUE: The $20 point seems reasonable for a well-made New World Pinot; I'd expect to pay more for similar wines from California's preferred regions. Still, it may pay to shop around, as Wine-Searcher.com shows this wine at an average $17 from U.S. vendors, with a few as low as $13. WEB LINK: Here's a direct link to the winery's Cupid's Arrow 2009 Pinot tasting note. 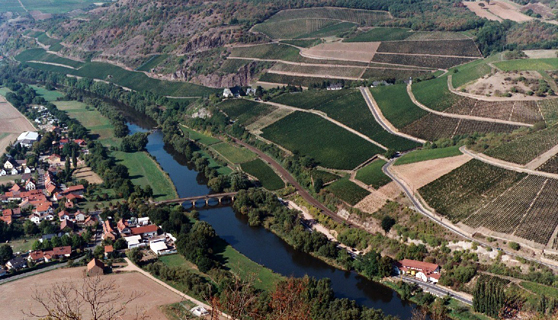 You can move up to the main Wild Rock winery page here. 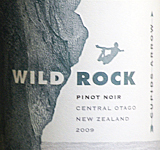 FIND THIS WINE ONLINE: Compare prices and find vendors for Wild Rock Pinot Noir on Wine-Searcher.com.